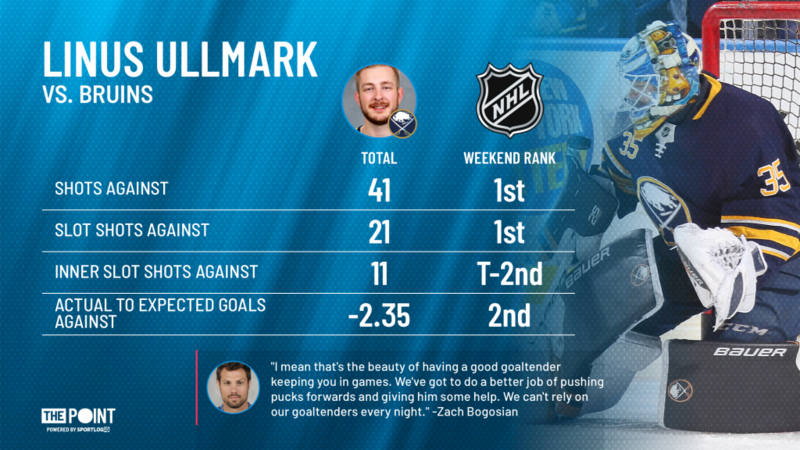 Weekend Warrior: Linus Ullmark - The Point Data-driven hockey storytelling that gets right to the point. What a weekend for goalies! 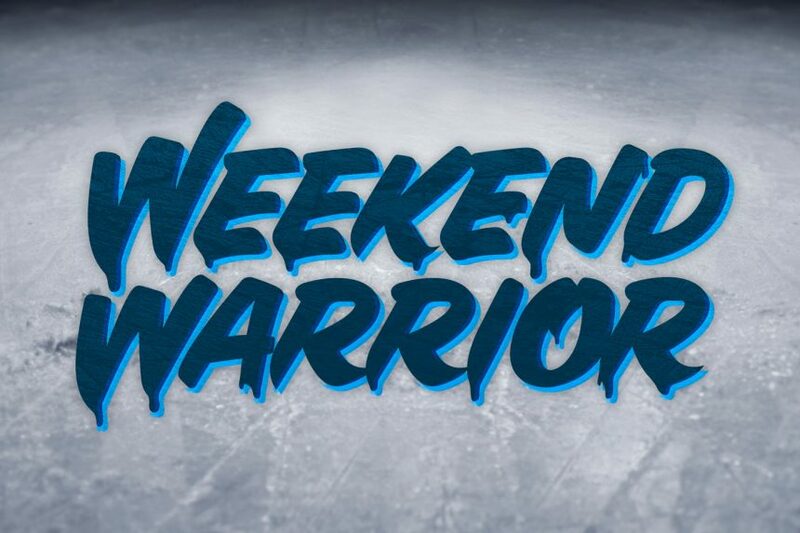 Four shutouts in two nights and yet today’s Weekend Warrior goes to a tendy who not only didn’t have a shutout but didn’t even get the win. He was that good. Linus Ullmark did everything in his power to give the Eichel-less Sabres a shot at beating the Bruins but when your team only manages 10 high-quality scoring chances, they’re going to struggle to give you any support. The Bruins came at Ullmark in waves, just peppering him with shots. They took over 20 shots from the slot and more than 10 from the inner slot. Both numbers are the highest faced by a goalie this weekend. Most importantly is his actual to expected goals against number which is a staggering -2.35. Meaning he saved his team nearly two and a half goals compared to league average goaltending. Ullmark gave it everything he had, making incredible cross-ice saves and standing on his head the entire game. This save shows just how dialed in he was. Without Ullmark playing the way he did this game easily could’ve been a blow-out and don’t forget, Ullmark is the Sabres’ backup goalie. Congratulations Ullmark! You are this week’s, Weekend Warrior!